SLN Meat Supplies, the company behind Cambodia’s first industrial slaughterhouse, is hoping to secure an export contract to supply $50 million worth of halal beef to a Malaysian distributor. This would be the company’s first overseas export agreement, and a much-needed boost to secure regular orders of Australian live cattle imports. Hor Sim Leang, SLN’s managing director, said yesterday that the company hopes to finalise a memorandum of understanding (MoU) in the coming weeks with Malaysia’s Halal Industry Development Corporation (HDC) after the chairman of the company, Rizuan Bin Abd Hamid, brought a delegation for a site visit. “The $50 million worth of beef that we agreed on is still being negotiated and we hope that when they come back in the next couple of weeks for another inspection, we will finalise the deal,” he said, adding that the HDC believed it could get a better deal sourcing from Cambodia rather than importing Australian beef directly. “This would be our first export agreement and we are still hoping that we will sign agreements with China and Laos soon,” he said. HDC, a state-backed initiative by Malaysia, has since 2006 aimed at raising halal standards in Malaysia and tapping into the $2.3 trillion global halal products market. SLN’s $22 million slaughterhouse near Sihanoukville, which received its first shipment of 2,766 heads of live cattle from Australia in June, has held off on additional shipments. The company previously told the Post that it intended to import 2,000 heads of cattle every two weeks. While the company has fallen short of its target, Sim Leang said that any future shipments would be dependent on overseas export agreements. “While we have done well in the domestic market, we are waiting until next year before ordering more shipments once contracts are in place,” he said. As for meeting the strict halal standards for slaughtering the cattle, he said that the abattoir could easily adapt without incurring additional costs. “From what I understand, instead of killing the cattle with a cattle gun, we would just have to the stun the cattle before cutting the throat to let the blood drain,” he said. For this, the company would bring in Malaysian professionals to oversee that the cattle are processed correctly. Company spokesman Im Vannarith, said that while the company has been supplying 15 to 20 tonnes of beef to Phnom Penh a month, and an additional 50 tonnes nationwide using its first batch of cattle, the export market is where the money is. “The overseas market is better if compared to the domestic market, and for next year we are targeting between $50 million to $100 million worth of export contracts,” Vannarith said. He predicts that if secured, the company could process 50 to 100 tonnes of live cattle daily for export at full operational capacity. SLN estimates that with its current staff it could butcher between 200 to 500 cattle a day depending on demand. Ahmad Yahya, secretary of state at the Ministry of Social Affairs, and a prominent member of the Cham Muslim community, said adopting halal standards for butchering cattle is more affordable than incorporating halal practices for other food products. He explained that the strict halal criteria involves having a person from the Muslim faith to conduct the actual slaughtering, while praying before the procedure and using a sharp blade large enough to kill the animal quickly to avoid unintentional suffering. While he praised the move to supply halal meat to Malaysia, he said that the company should also target other countries with large Muslim populations. Malaysia’s Halal Industry Development Corporation (HDC) plans to invest $50 million in SLN Meat Supplies with a memorandum of understanding (MoU) between the two companies hopefully signed by the end of the year, according to a senior SLN official. Hor Sim Leang, managing director of SLN, told Khmer Times yesterday that the agreement between the two companies was a work in progress as HDC just expressed interest during a meeting on Wednesday. He said HDC would draft the MoU and hopes it will be signed by year end. “There was only a discussion from both companies and there is no specific project or agreement to be signed. They [Malaysia] will draft the MoU and both companies will sign it soon,” he said, adding that the Malaysian investment would go towards all aspects of the company operations. Mr. Sim Leang said that the agreement would focus on the export of halal beef to Malaysia, adding that the Malaysian government agency’s planned injection of capital exemplified the close relationship between the two countries. “As to how much demand from Malaysia on Australian beef produced at SLN Meat Supplies, we have no idea. HDC chairman Datuk Seri Hj Rizuan Abdul Hamid on Wednesday was quoted by local online media as saying that HDC plans to invest about $50 million for the production and packaging of halal beef and its export to Malaysia. 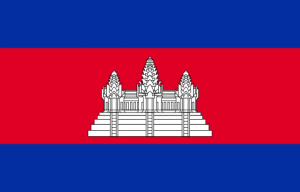 “The company sees potential in halal products and food production has improved in Cambodia, which follows international standards and generates millions of dollars per year,” he said. Sos Mossin, secretary of state at the Ministry of Cults and Religion, welcomed the move. He said the government had already created the Committee to Monitor Cambodian Halal Products, of which he is a member, and already approved a sub-decree on halal food certification that has taken effect. “The committee’s technical team is working to strengthen human resources and the marketing and promotion of halal products to help investors. When investors want to apply for halal certification, we have the expertise to help them,” Mr. Mossin added. According to SLN, there is currently enough beef to supply the market, but it will increase production capacity and import about one million Australian Brahman cows next year due to demand for Australian beef from China and Malaysia. The company has imported about 3,000 Australian cows and slaughters about 100 to 200 daily, but plans on killing thousands per day starting next year.